The scope and significance of the cooperation between German and Indian researchers has increased substantially in the past years. In part, this development is due to the ongoing growth – as well as the professionalisation and internationalisation – of India’s research sector. Although there is still room for further development, India is now a leading player in a number of academic fields, and German researchers have been increasingly interested in building partnerships with their Indian colleagues. Indians, for their part, have noted that the German research system has become much more international and vibrant in recent years. 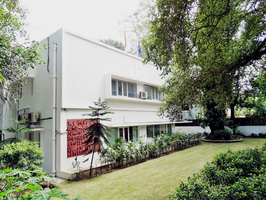 In order to respond to the growing demand for information and assistance in the field of Indo-German scientific collaboration, DFG’s India Office was set up in 2006. Today, apart from dispensing information about DFG’s funding lines and assisting in the initiation of joint projects, DFG India Office is engaged in setting up Indo-German research funding opportunities in cooperation with its partner agencies. DFG’s main partner agencies in India are the Department of Science and Technology (DST), the Department of Biotechnology (DBT), the Indian National Science Academy (INSA) as well as the research councils under the aegis of the Ministry of Human Resource Development (MHRD).